Morecambe recorded a double header win over Grimsby Town and Macclesfield to end their four consecutive game losses. 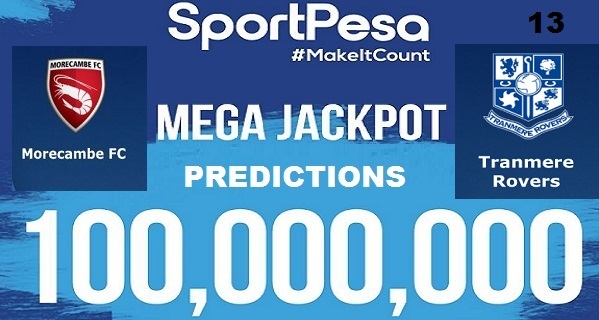 They are at position 17 on the table with nine points. They have played ten league games; they won three and lost seven games. Tranmere failed to make amends for a 1-0 loss to Newport having been held on a 1-1 draw by Milton Keynes Dons. 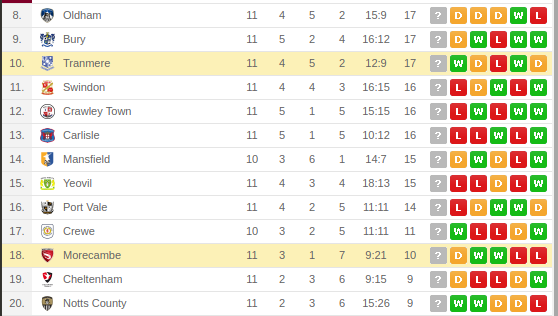 They are at position 16th on the table with 14 points having won three games drawn five and lost two. They have produced a bag of results away from home having won one game, drawn three and lost one. 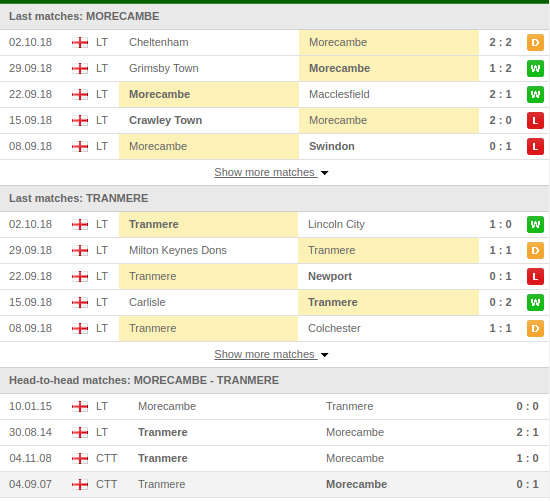 Morecambe have won one game, drawn one and lost two in all their meetings with Tranmere.